Wave DERMS integrates DER resources with other programs such as traditional Demand Response programs. Rather than just calling a DR Event, shape the load to match renewable generation profiles using energy storage, Demand Response assets, distributed generation, and renewables. Wave DERMS can integrate to individual devices or to aggregations of devices. Individual devices typically include larger energy storage devices, PV plants, and conventional generation. Aggregation may include home DR programs (thermostats and hot water heaters), residential storage and PV, and EV fleets. Spirae Wave manages DER resources for distribution utility operations. Wave DERMS applications work together with existing utility systems to provide visibility and manage DER and use its inherent flexibility to host more renewables and enhance reliability. Wave DERMS is DER type and brand agnostic. It sees the DER world as a portfolio of DER assets with specific capabilities. 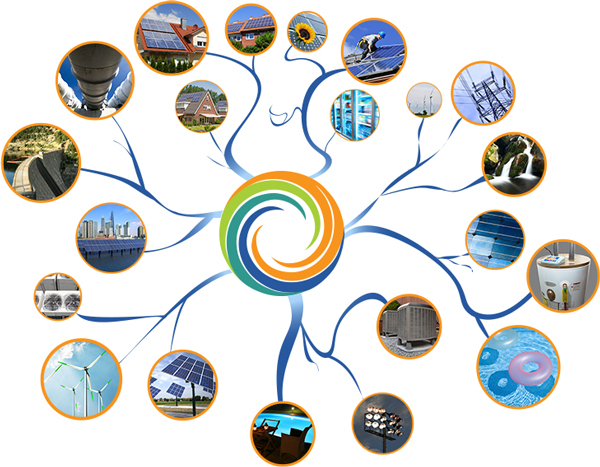 Wave DERMS can include the Wave Microgrid and Energy Storage applications. Wave DERMS provides value stacking, allowing assets to be grouped, scheduled and used for multiple purposes at different times. The Wave Planning Engine allows users to take load and renewables forecasts into account and plan optimal dispatch strategies across multiple use cases. Increase flexibility: The flexibility to use any DER resource to support many utility use cases makes distribution utility operations flexible and adaptable. Increase efficiency: Increase grid operations efficiency and asset utilization by using DERs to meet grid operations requirements and deferring capital upgrades. Decrease cost: Wave’s vendor-neutral DER management system, with plug and play capabilities, reduces the cost of DER integration. Increase renewables hosting capacity: Increase the number of renewables that can be added to distribution feeders or at the system level without negatively impacting grid operations. Streamline DER adoption: Wave DERMS streamlines DER adoption from DER provisioning and configuration to optimal dispatch and settlements. Avoid thermal constraints on equipment, reduce procured energy costs and imbalance charges, provide non-construction alternatives to growth areas. The Wave DERMS applications monitor demand and available resources, dispatching DER according to user-selectable criteria such as low-cost or low-carbon. DER dispatched to shape load in operations-friendly manner. The classic example is flattening the “duck curve” and reducing ramp rates during periods of high load and renewables volatility. Monitor and dispatch resources to support high-levels of renewables without heavy investment in low utilization physical assets. Use forecasts of load and renewables to manage energy storage, DR, and other available DER resources to dynamically shape load to stay within desired limits. Aggregation of resources to create virtual power plant (VPP) capacity to participate in day-ahead and hour-ahead energy, capacity, and ancillary services markets. The Wave DERMS architecture allows users to selectively mix and match groups of DERs with specific application capabilities. The Wave DERMS client connects to Wave Servers and allows operators to dispatch different DER groups to meet different objectives.